Seems like our ideas are inspiring a number of people, that’s why we are getting so much positive response and feedback. 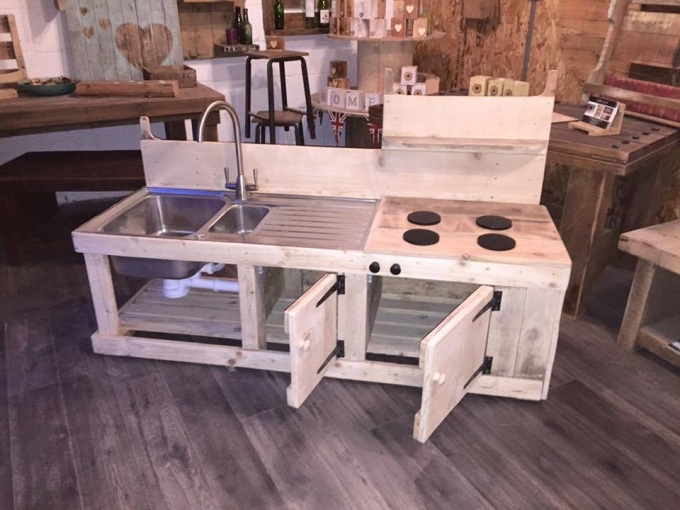 In our website, we have tried to cover almost all of the subjects that could be done with the pallet wood. 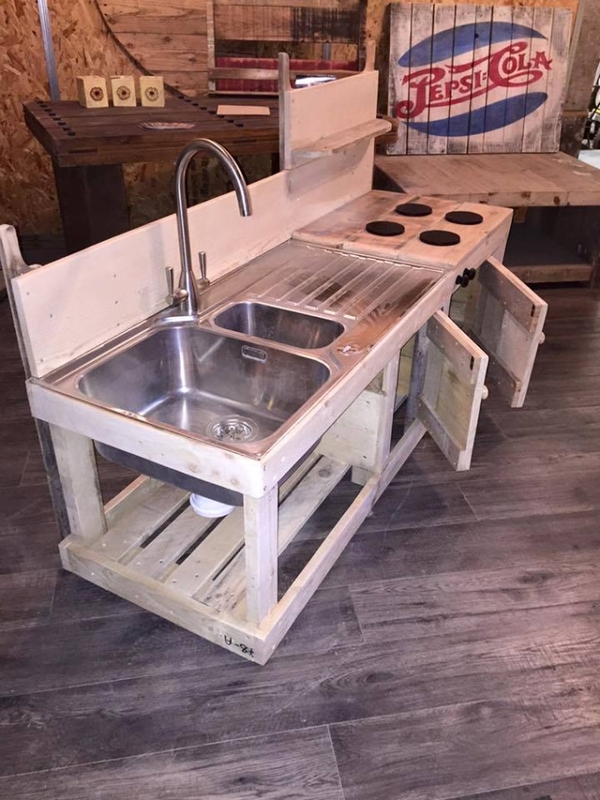 There were a few mud kitchen or kids kitchen ideas prior to this one which were highly appreciated. So here is another sensational kitchen for your kids. Though you would have to arrange for a couple of some additional supplies while the process, yet this sensational kids kitchen is worth giving a try so here we present this to you. Kids kitchen is basically an activity for your kids where they sometimes simply kill their time, and sometimes they also get some inspiration and familiarity with the actual house hold work that how exactly the things go on. So if you are intending to give them the inspiration, then this kitchen must be cool and sensational enough to win their interest. So just to win their interest and inclination we have tried our level best to provide them with one of the best pallet wood creation which would give them the sheer happiness and opportunity for recreation. 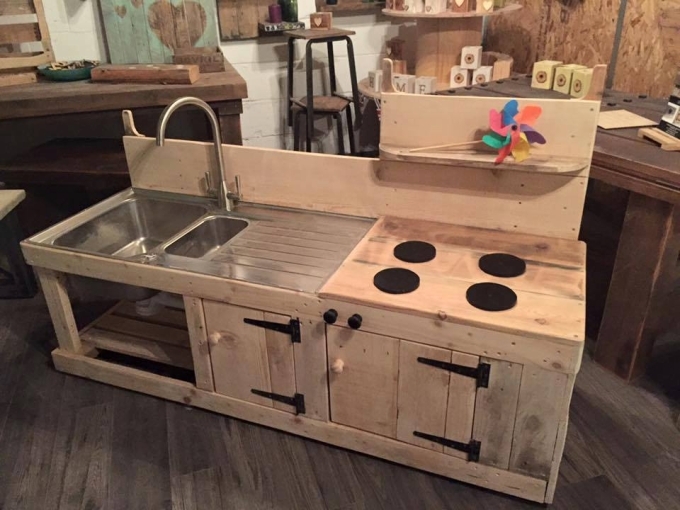 Now we would be having a glimpse of the said sensational pallet wood kitchen all meant for the kids. 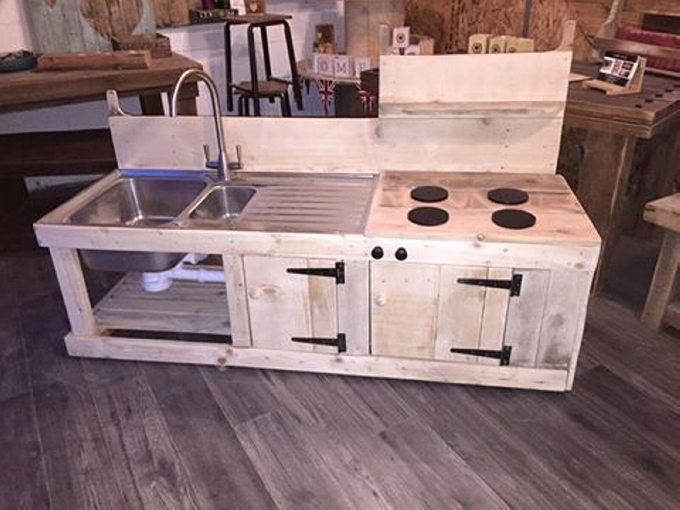 This is apparently a gigantic wooden object that carries all the necessities of a practical kitchen like it carries an actual sink along with a high tap, then it has got the space for built in stoves. And on the base it has got wooden cabinets that are a must have for a kitchen because you have to keep a number of accessories whether it be the utensils, crockery, or some other kitchen related stuff. So this sensational kids kitchen is fully equipped with all basic needs.